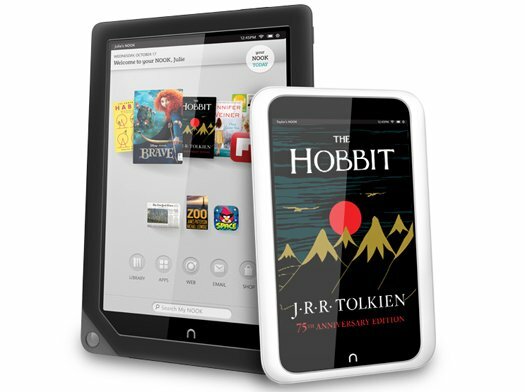 B&N rolled out a new update for their media tablets earlier this week. There's been no official announcement, and it doesn't appear to add any new features ( for example you still cannot sideload apps). The update is being distributed on a rolling basis, and was it actually started being sent out on Monday. So what did the v2.1.1 update add? Not much. The main fixes seem to involve a comic book reader and Google Play Music, from what I've read. Or to get the software update right now, be sure you are connected to a Wi-Fi hotspot, tap the Settings icon in the Status bar at the top of your screen, tap on All Settings, then tap on Device Information, and check to see that your Software version matches 2.1.1. If it does not, tap on Software version and then tap on the Check for updates button. Follow any on-screen instructions. Do not turn off your device while it is downloading or installing a software update. I have some new apps now showing up on Google Play that were not available before – I think due to the lack of GPS. USA Today is one. I can now install it and it works. Overall response is snappy. I’m happy. I have recently loaded the XDA-Devs kernel patch to allow installation of side-loaded .apk content and it works well. Rooting is not required. Now I have Amazon appstore, etc. on the stock O/S. I love this tablet. The N2A custom ROM offering also works well with this device. Boots from a microSD chip and gives you another avenue to a full-fledged tablet, though is hardly necessary now with the XDA-Dev tweak to sideloading applied. I noticed two significant bug fixes related to the Home screens. I can now scroll between home screens when rotated to landscape — it used to only allow scrolling back to the main/center home screen, then locked there until I rotated to portrait. And updating apps no longer removes the icon from the home screens (boy, was *that* ever annoying).